RosalSolutions. Su solución Global en Ingeniería y Control de Proyectos. 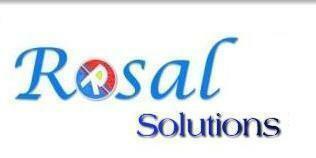 E-mail: rosal1301@hotmail.com Personal website: www.rosalsolutions.com. College Engineer # 129.321. NACIONALITY:	Venezuelan - Spanish . Civil Engineer (1994 - 2000 ). Universidad de Carabobo. Venezuela. More than 10 years of professional experience working in International Consultants and Major Contractors as a Senior Planner Engineer/Leader in different project stages (Engineering, Procurement, Construction and Commissioning) principally in the Oil & Gas sector. Responsibilities include an engineering background with a significant construction experience in Planning Control establishing Detailed Master Project EPC Schedules for Civil, Structural, Mechanical Equipment, Piping, Pipeline, Electrical and Instrumentation providing management reports/status ( Progress S-Curves, manpower/major resource histograms, long lead procurement/equipment, Engineering Deliverables, schedule look ahead, Critical Path Analysis, Recovery Plans, earned value, etc.) with an extensive knowledge of project controls applications (Primavera P3 & P6, MS Project, Primavera Risk Analysis); Middle East experience. One of the Main International general contractor engaged in the engineering and construction of industrial facilities in the fields of Oil & Gas, Refining & Petrochemical, Power Generation, Infrastructures and industries. PROJECT CONTROL AND PLANNING COORDINATOR. Preparing detailed Project EPC with all resources (man-hours, weightings, major materials and costs) in accordance with the Contract and budget including S-curves, Manpower and Major Materials histograms using primavera. Risk Management/Primavera Risk Analysis. Analyzing project potential problems/delays, look ahead schedule and recommending corrective actions. Updating, controlling and implementing the detailed production schedule and ensuring the completion of agreed milestones and specific targets. Providing supervision and support to planning engineers in the development and integration of individual schedules into the total project plan. Responsible for several Subcontractor’s Planning/Scheduling, Coordination and Reporting. Preparing Tender Schedule, Resource/Cost Loading, Progress S-curves, Histograms and other relevant technical submissions in accordance with the Instructions to Tenderer, scope of work, BOQ, drawings, specifications, etc. Leading contracting Latin American company. Its operations involve construction, maintenance and assembly activities; mainly related to oil, petrochemical, and industries in general, executing and buildind high quality projects to national and international companies. • Project Contract Administration, which included process deviations and change orders, and their execution procedure, prepared billing information, elaborated invoices and supervised subcontractors. • Planning, Scheduling and Project Control. • Reports development: weekly, monthly progress and cost control reports, variance analysis, close out project report, man hours expended, project productivity and forecast (including project cash flows). Early notice of likely schedule and cost impacts. • Projects cost control tracking. Construction company that provide services in construction, maintenance and assembly activities; mainly related to oil, petrochemical, and industries in general. Projects: 1.- Airport Construction. Sincor. 2.- Erosion Control and Drainage Works. Sincor. 3.- Needle Well Construction. Sincor. 4.- Cluster Expansion. Sincor. 5.- Drain pit. Environment works. PDVSA. 6.- Foundation, Elect. & Underg. Piping ( Hamaca ). Ameriven–Alvica. Projects: 1.- Main Station Bare Construction. Ameriven. 2.-Lasmo Dacion Field Development New Facilities. Otepi Foster Wheleer. 3.- Dacion Field Development Site Preparation. Otepi Foster Wheleer. •	Escalation formula application and review. •	Project Execution strategies development and Bid Packages preparation and evaluation. •	Auditor leader of the quality system ISO9000 certification. •	Recipient of scholarship by the Gran Mariscal de Ayacucho Foundation. Mundial Bank. •	Honorable mention thesis ( Analysis of the Seismic Resistant Structures ). •	Courses and Seminaries: Quality Control: Quality System ISO9000, QA/QC Inspection. Structural Design: Structural Analysis, seism-resistant analysis, drainage works design. Project Control: Civil, mechanical and Electrical works administration, Control projects. Others: Pumping equipments, Concrete Analysis, ISO14001, welding, Toxic residues, HSE. •	Knowledge of the following software : Project Control: M.S.Project, Primavera P6 & P3, Primavera Risk Analysis, Lulowin. CAD: Civil Survey Softdesk, AutoCAD. Office: Excel, Word, PowerPoint, Access, FrontPage, Outlook. Others: SAP, Macromedia Flash, Visual Basic, Internet.